2016 Pinnacle Award Winning Book! Be your own publicist. The long days of traveling around the United States on book tours to brick-and-mortar stores are over. Utilizing today's technology, you can execute a successful marketing tour within the comfort and convenience of your home and make your book a bestselling sensation. 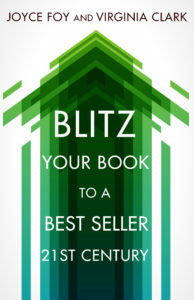 This revised edition is based on the award-winning Power Marketing Your Novel written by Joyce Spizer Foy, author of this novel too. It's jam-packed with sources, resources, 100's of website links, and helpful hints to guide you to become a marketing guru.